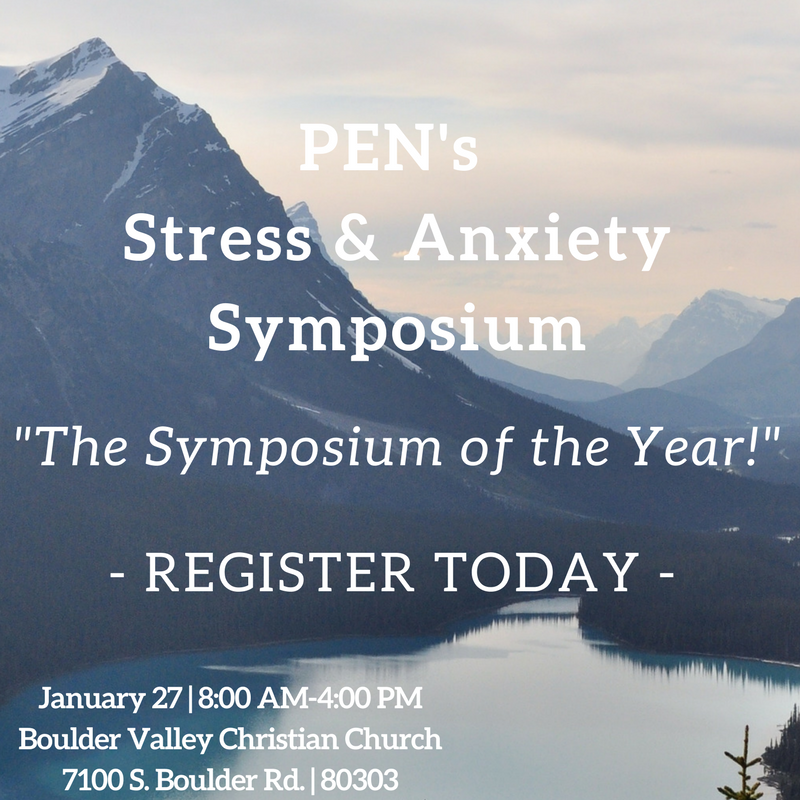 Parent Engagement Network, Boulder County’s premier parenting organization, invites you to attend their 2nd Annual Stress & Anxiety Symposium on January 27, 2018 from 8:00am – 4:00pm at Boulder Valley Christian Church, located at 7100 S. Boulder Road in Boulder, CO. But THERE IS HOPE! PEN has organized a group of 30 experts and thought leaders who will provide information and strategies to help you better understand and cope with today’s crazy world. Where else will you have access to that many professionals at one time? The day will start with a breakfast, followed by an informative and inspiring keynote address from Dr. Ben Mullin, Assistant Professor of Psychiatry at the University of Colorado School of Medicine, and a psychologist in the Pediatric Mental Health Institute at Children’s Hospital Colorado. The rest of the day involves a 1 ½ hour workshop, lunch, 2 more 1 hour workshops, and a closing ceremony. Resource tables will be available throughout the day, and teachers can receive 6 CEU seat credits for attending. Two workshops will be delivered in Spanish, and interpretation and childcare are available to participants. With 30 experts, you will have a variety of topics to choose from. This allows you to pick those that best meet your interests and needs. Topics cover everything from the brain science behind stress and anxiety, to how to take better care of yourself through nutrition and daily practices. We will cover developmental differences, strategies for working with children with special needs, and how to recognize and replace ineffective coping strategies, to name just a few. Specific practices like mindfulness, yoga, meditation, tapping, and Tai Chi will give you opportunities to practice new ways of visualizing and managing your stress. Go here to see all of the available workshops. Current event sponsors include the Boulder Valley School District, Premier Member’s Credit Union, Sandstone Care: Drug and Alcohol Rehab for Teens & Young Adults, and The Hope Coalition of Boulder: Supporting Depression Awareness & Suicide Prevention. Tickets for the 2nd Annual Stress & Anxiety Symposium are $50/adults and $10/youth. To register, go to https://www.parentengagementnetwork.org/event/2nd-annual-stress-anxiety-symposium/. Scholarship tickets are available through a form on the registration page. With almost 17 serving the parents of 31,000 youth in Boulder County, PEN’s mission is to support parents in raising healthy, happy youth. PEN utilizes their qualified staff, trained volunteer parent leaders, and vast network of professionals to create, plan and implement programs that respond to some of the most pressing issues facing families in our community. While PEN secures 100% of its own funding, they have a strong and thriving partnership with the Boulder Valley School District, with the goal of increasing parent engagement in schools, protecting children from risks, and build youth up to meet their full potential. Visit http://penbv.org for more information. Go to: www.parentengagementnetwork.org, and Click "Learn More" to See Details for the Event, Including Specific Workshops!Register and receive breakfast, lunch, 3 workshops, and access to resource tables. Childcare, interpretation, and 6 CEU seat credits also available! 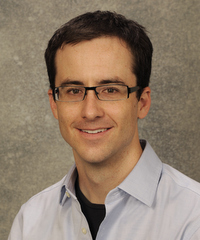 Hear Keynote from Dr. Ben MullinDr. Mullin will discuss our scientific understanding of anxiety in adolescence, and how parents can help their child successfully navigate this volatile, challenging, and amazing period of life.